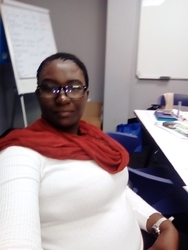 Hello everyone I am Vizneth Majozi residing at Pietermaritzburg working at Metropolitan Pietermaritzburg as financial advisor at office no 262 Langalibalele street, Brasfort house, 3rd floor. I would like to assist everyone who would like to have insurance with Metropolitan you can call me or send an SMS to 066 198 5605 or WhatsApp 072 582 8420. I would be very happy to assist everyone thank you.